I believe in the custody concept in general and its for digital assets will be an amazing to see working in real life. There is a really great team leading this project. It's an exciting concept, which is putting blockchain technology to excellent use. Keep up the good work! Wow... Strong Team! Great looking project. I'm excited to watch this one grow. Amazing team and advisors!! really good concept and vision. Product is really different as well. Store information or data as time capsule and receiver will receive on given date and time. Best of luck team!! Great team. Fantastic product, unlike any of those that plan to be launched in the near future. Very amazing mission for this project. Very experienced team and advisory board. And the vision of this ICO is great, I think that there will be a decentralized system like this. My main concern is security in storing the information. Good luck team! This ICO starts to delve into the advanced and futuristic capabilities of the blockchain that were once only seen in Sci-fi movies. I love the team, and the concept of being able to document and store memories is very intriguing. I wish this team the best of luck. Great project and a fantastic team. Looking forward to where this one goes. Team - strong core team experience and education twinned with good and useful advisors. Vision - the project aims to solve a key issue for the introduction of institutional clients in crypto-markets, that of custody. I'd have liked to see a SWOT analysis of the potential for other players to enter this market, but the vision is relatively strong. Also, a breakdown of how different levels of funding may effect project implementation (soft/mid/hard cap). Apart from that, a strong vision. Product - awaiting MVP in November, 3 until then. Good luck to the team in implementing this project, it could underpin the next phase of crypto-adoption if executed correctly. With all these advisors and the team like that it would be really hard to fail! Very bold whitepaper, will be watching this project very closely indeed. Great team. Good use of Blockchain. The evolution of cloud storage with Blockchain implementation. Security needs to be top notch and needs to be hack-proof in order for this to work. This team should be able to solve any issues. Really like this project and I hope it succeeds! It is highly possible that the emerging blockchain-based distributed storage market would be able to challenge traditional cloud storage services (such as Google Drive or Dropbox) for a cut of the cloud storage market. Keeping sensitive information secure from theft and vulnerability in today's digital world isn’t as easy as putting a lock on a file cabinet. With so much of our private, personal, and sensitive information being stored and transmitted online, tight security and privacy are now necessities for everyone. Data is quickly becoming one of the most valuable resources in the world. But, just as more of our lives is going online, we are hearing about more data breaches and hacks than ever. Blockchain technology has been one of the major technological breakthroughs of this century. Everything is encrypted and nobody can tamper with the blockchain without everyone else noticing immediately. Smart contracts can also be used with blockchain. The idea of using P2P networks to collect computer resources is not new. In the early 2000s, BitTorrent opened as a distributed file-sharing service and grew to handle more than half of the internet's file-sharing transmission capacity. The secure data storage market is currently dominated by huge third-party providers and now it is one of the key targets for blockchain developers. Blockchain technology is more likely to succeed because it comes with a built-in mechanism for payments – cryptocurrencies, which were missing in regular P2P services. The TimeBox platform provides online custody service that is simple, powerful and convenient for everyone. It allows to keep valuable digital assets, such photos, letters, final wills and even cryptocurrency in a secure way. Moreover, there is an additional feature of the platform, these precious digital assets can be delivered to any specific person at a certain time. The project is intended for a P2P transmission distributed data storage with Proof-of-Work based consensus mechanism. The method of storing the information will adopt the smart contract of blockchain and match a large number of computers with the internet as the storage object in a random or a scramble mode. The protocol’s cloud storage network also provides security, as content is encrypted end-to-end at the client, while storage providers do not have access to decryption keys. 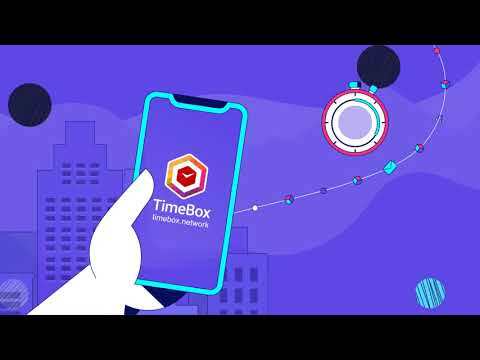 Any user can participate in TimeBox network as a Client or a Storage/Retrieval Miner. Clients pay to store and to retrieve data in the Decentralized Asset Trust Network via Put and Get requests. The network’s inner means of payment - TimeBox Coin (TB Coin) is a general virtual coin for the platform. TB Coin (ERC20 standard) will be used as a utility to pay for services within the platform - users need to pay TB Coin to get a storage capacity and miners who support the fragmentation of TimeBox receive a reward for a specific amount of TB Coins. It is planned to present a prototype alpha of the TimeBox platform in the first quarter of 2018. Besides the storage feature, the TimeBox project is going to set up a charity foundation, that will provide the TimeBox service to vulnerable groups after the platform will be launched. The fundraiser caps have not been set, but there are a presale target for 3,000 ETH and an ICO target for 25,000 ETH. Presale is currently underway, ICO starts on March 10, 2018. All in all 200 million TB Coins are distributed. A half of them will be sold to the public during the token sales, 35% is reserved for partners, the team and a bounty program, and 15% is reserved for the charity foundation. The budget allocation is explained in the WP and website. The WP does a good job of transmitting the main concept and there is a lot of background information to provide a backdrop to the reasoning behind this project. It is properly structured with a well-divided index and a classic format. It is not exaggeratedly long neither is it oversimplified. The website has a simple structure and a menu of options that allows everyone to keep investigating about this ICO. The website contains a lot of information, much like the WP. These illustrate the case at hand and why a solution is needed. There is a roadmap in the website and WP, explained in a clear way and it has detailed information. However, keeping in mind that the project has a global audience it is strange that the WP and website are presented only in English. There are also a shorter WP version - “Pitch Deck” (27 pages) as well as an “Auditor Report” (19 pages) - a document which confirms a positive assessment of the smart contract. The team is bolstered by several experts in different fields and areas including a strong developer team, that is backed by advisors in various frameworks. The participants have open LinkedIn profiles where everyone can see their past work and experience. This is really important for knowing who is behind the ICO. Nowadays any blockchain project can succeed only when it is supported by a sufficient number of people. Surprisingly, there are no project pages on Twitter or Facebook. The number of participants in the Telegram chat - just about 100 members and … that’s it!!! Guys, are you serious? Well, to be fair, one can find a shared code on the Github site but with not a lot of activity. All in all, this is a great implementation of blockchain technology with a nice vision and I hope that the project with this experienced team will be successful. Great long term investment! Interesting project, serious team, weak coverage in social networks. Good team. Everything looking positive about it. Great vision, superior team i do not need to say more. The solution is much needed and already have a working product. What a fantastic project. The idea is awesome, the team is crypto and business solid! When I read the White Paper it was clear you have found a superb idea that solves something for so many people. Good luck guys! You are on to something amazing! Definetly a very much needed concept. However it is doesnt base on monetisable business model. Easy to copy concept where there wont have any first movers advantage. good luck and best wishes guys.